One of my favourite seasons is just around the corner, Spring time! To me, Spring time is like getting a fresh new start. The snow melts and buds of grass and other plant life begin to spring up fresh and new. Spring is also a time we like to get rid of accumulated stuff from winter like clothes, jackets, blankets and other things we will need but don't need to keep out. A little Spring cleaning every year, even if we don't always like doing it! 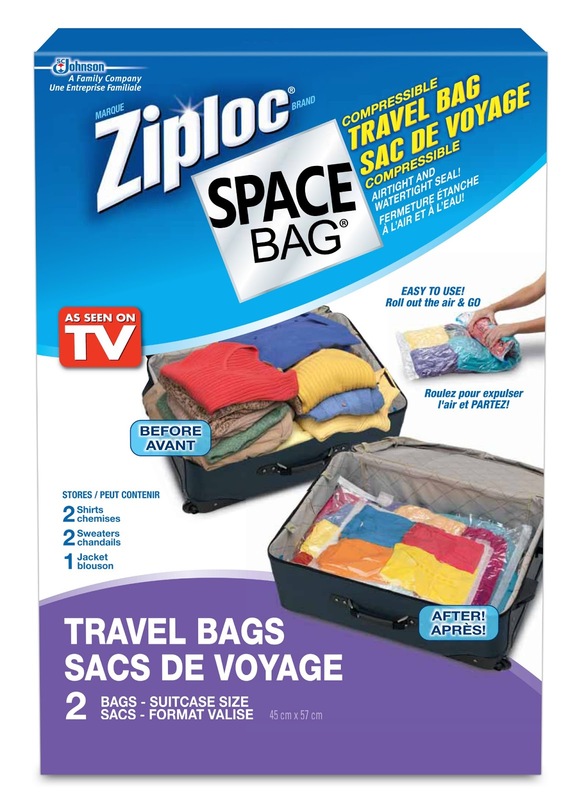 Ziploc recently launched new Ziploc Space Bags collection which offers a variety of products that help Canadians de-clutter the home and reclaim our space! 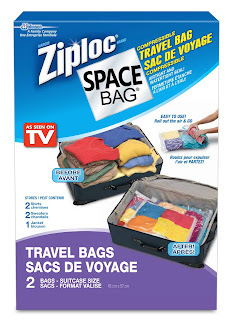 Ziploc Space bags let you vacuum seal your items like clothes, linens and such into a see-through storage bag. It takes less space than bulky bins, reduce dust collecting while your stuff is in storage and your guaranteed to remember whats inside when you do need it! All you have to do is label it when your done! Ziploc Space bags come in a variety of different sizes for different uses such as Cube and Jumbo bags for bigger items like pillows and comforters, You never know when you'll have a guest or need an extra blanket! The hanging bag which allows you to store up to 10 garments, perfect for jackets, snow suits and other seasonal wear. The travel Space Bags are perfect for trips, I could have used these when I was travelling for conferences last fall and broke the zipper on my suitcase because it was packed poorly. If you need a variety, the Combo assortment pack is available for all your storage needs! Real space savers, even though they are just simple plastic bags! I have seen these before from other brands, infomercials making them look like magic bags. What interested me about these are that they are Ziploc brand and I know from experience using Ziploc freezer bags, sandwich bags etc that we are looking at quality storage bags which will not only do what they claim, but also last. Compress, protect and organize your home with Ziploc Space Bags! For more info about these and other Ziploc products visit www.ziploc.ca! Disclosure: Posted by AME on behalf of Ziploc. Product was received for review purposes. Opinions and comments expressed on this blog are those of the author. I've been cleaning this weekend so it's a great question! The room that needs the most purging is the bedroom and I would definitely benefit from storage bags! I desperatly need to purge my laundry room! These would be a great help. My bedroom would benefit - so much clutter! My bedroom is the room that needs to be de-cluttered, purged and addressed. This is my spring project. I would definitely benefit from these Ziploc Space Bags. They sure would help in keeping me organised. My sewing room is the room most in need of a purge & yes, ziploc bags would definitely help the cause. My bedroom would greatly benefit from all these storage and space saving bags! oops - forgot to mention in the above post that my rafflecopter name is Julie G.
My storage room needs purging. I could benefit from the Ziploc Space Bags for sure. My bedroom, and I could so benefit from Ziploc bags! The basement is the room that needs the most purging. actually I am setting aside an hour this morning to start..and ziplocs would be helpful. My bedroom needs it. I could benefit from it by packing away clothing thats not in use at the moment. i need help with the basement that is where all the junk accumulates in our house! My bedroom and yes, I could really use the help with ziploc bags to organize all my clutter! My bedroom seems to be the drop spot in the house where everyone leaves their messes so it would be nice to win this and get organized. Both of my daughters bedrooms for sure,they hate to part with any of their clothes. My bedroom needs the most purging. It is suppose to be a relaxing, soothing space and yet it's not because I don't have enough storage room and have too much stuff. I could definitely benefit from Ziploc Space Bags because lots of stuff could go into them and I would be much more organized. My basement needs purging badly! These would come in handy for sure,thanks! Linen closets could use this for sure! Ho, that would be soooo handy! my closet with the kids' overgrown cloths could need to organizing. my closet with the kids' outgrown cloths would need reorganizing for sure. (sorry if it says Audrey Carriere, should say Chantale, will try and change it. Our laundry room full of closets of blankets, towels, etc! My laundry room needs purging the most. I could totally use Ziploc space bags for when travelling -- I never have enough room in my suitcase. Our basement. It is the catch all for everything and is piling up!! My room, I could definately use this. the office area needs purging - way too many papers and clutter that all needs to be reviewed and sorted. These ziploc bags are great - perfect for making more space in the super-squished closet. also would be really helpful with travelling since i'm a major over-packer! I have a storage room that has become a dumping ground. I desperately need to clean it our and organize the contents. I could really use these ziploc bags to do the job. My bedroom needs the most purging. I would greatly benefit from Ziploc Space Bags because my bedroom seriously needs major organization!! It is the room that needs the most help! I'd be forever grateful to you and to Ziploc. I'm not sure it counts as a room but our unfinished basement needs purging deserately! It is a dumping ground for everything that I can't find a place for. My closet needs to be purged the most! I think the Ziploc bags can help me organize the clothes according to seasons. The room that needs purging in my home is the whole basement and these Ziploc Space Bags would be great to help with that! Technically, our garage is most in need of purging, but not sure if that's considered a room :) A close second is the kid's playroom. I'd definitely use the space bags! Would def use something to organize all those little toys!! Our master bedroom. 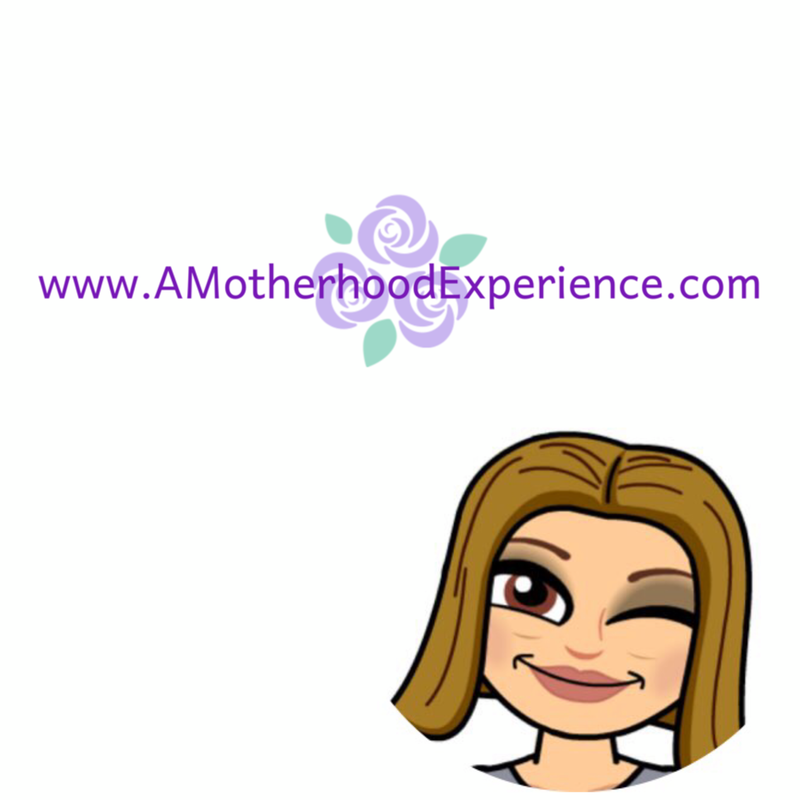 I am caught between "real" clothes and maternity clothes - which I'm sure you can appreciate! My bedroom, for sure. The space bags would be a great way to help organize clothes that need to be put away for the season.